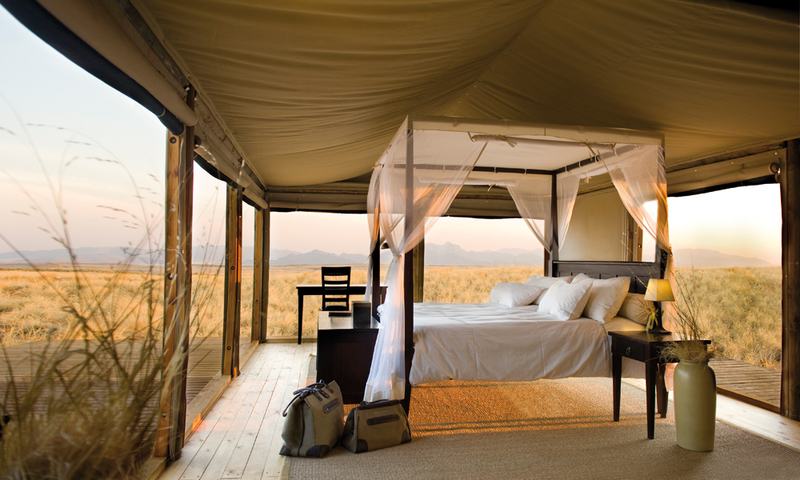 Wolwedans Collection Namibia: an intriguing window to experience the desert's elusive grandeur and breathtaking beauty. 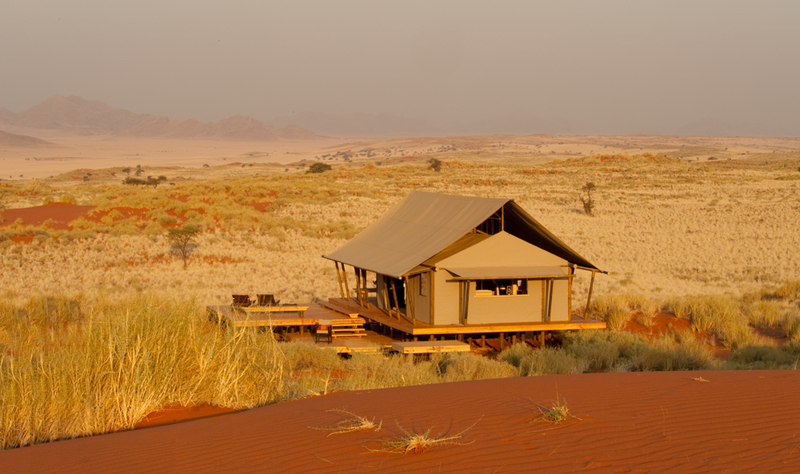 Wolwedans nestles into the dunes, set against a backdrop of extraordinary natural beauty. 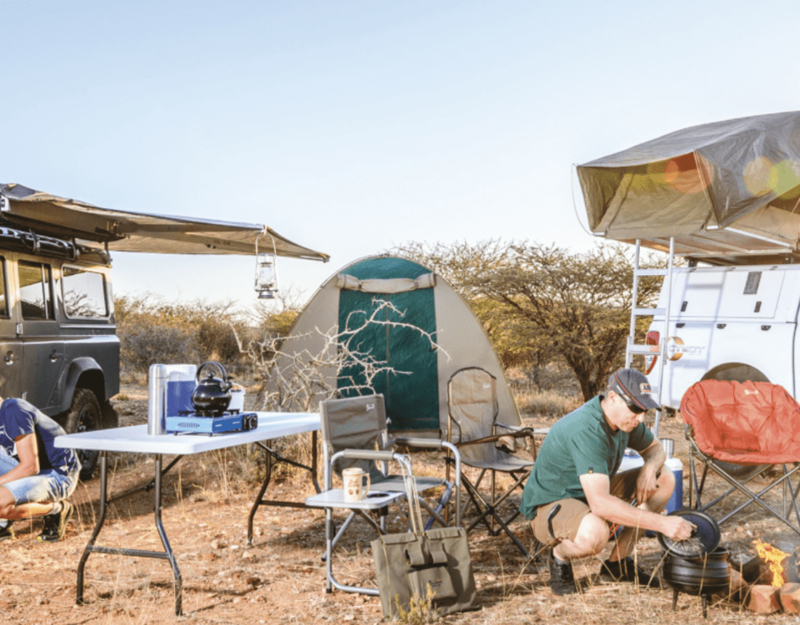 Located in the heart of the NamibRand Nature Reserve, the camps provide the perfect base from which to explore vast stretches of awe-inspiring and undisturbed nature. Each camp is designed with the best interests of guests at heart. From your home at Wolwedans you have a choice between the spacious and unique comfort of the Dune Camp, the more elaborate Dunes Lodge and Mountain View Suite, the quietly secluded Private Camp and the exclusive Boulders Safari Camp. No matter where you opt to stay, warmth and personalised service – embraced by a commitment to care for guest and nature alike – are Wolwedans’ hallmarks. 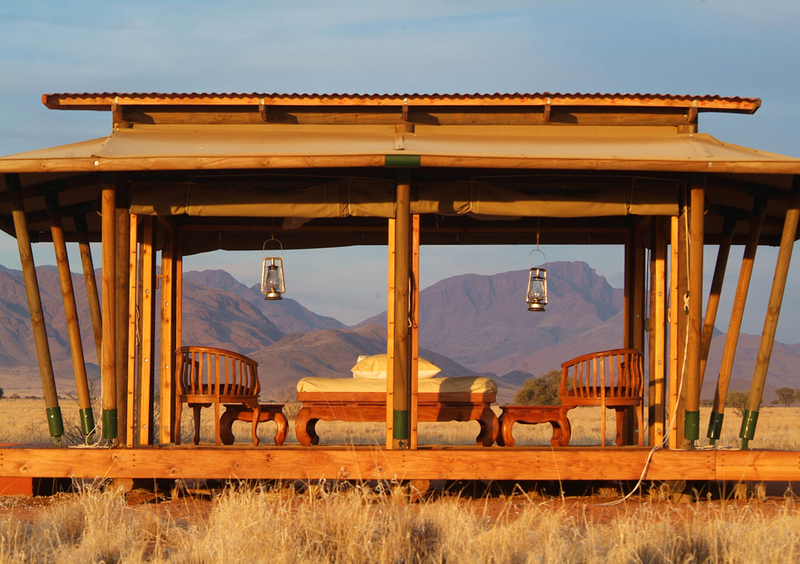 Wolwedans provides an intriguing window for you to experience the desert’s elusive grandeur and breathtaking beauty. If you are an open-minded and nature-loving individual in search of a distinctive desert experience far off the beaten track, Wolwedans is for you. Accompanied by experienced guides, visitors are introduced to the many facets of the desert habitat with its diverse fauna and flora – on foot, horse or by car. Our interpretive scenic drives in open Land Rovers with resident field guides reveal the fascinating wonders of the desert – as do horse riding through the dunes, picnics in the wild, sundowners on the dunes and dinners by candlelight. We also offer horseback safaris and leisure rides. Scenic flights to the Diamond coast and Sossusvlei are undertaken during the late afternoon (if an aircraft is available). For guests staying three to four nights, a day trip by plane to the mighty Fish River Canyon and Lüderitz can also be arranged. A special attraction at NamibRand is hot-air ballooning. Soaring silently over the dunes and never-ending plains provides unforgettable and breathtaking 360-degree vistas. From the best viewpoint imaginable, you will have the opportunity to admire the stark beauty of the Namib for about an hour, before celebrating this extravagant experience with a champagne breakfast at the landing spot.